Hardback, 6.5 x 9 in. / 208 pgs / 162 color. 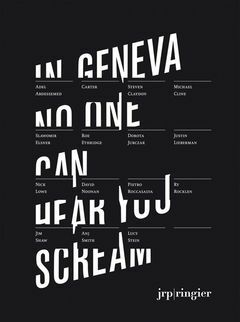 In Geneva No One Can Hear You Scream documents an exhibition, organized by New York gallerist Marc Jancou for Geneva's Blondeau Fine Art Services, which raises its voice against the current state of contemporary art--the commodification, biennialization and status-seeking. Included are Adel Abdessemed, Carter, Steven Claydon, Michael Cline, Slawomir Elsner, Roe Ethridge, Dorota Jurczak, Justin Lieberman, Nick Lowe, David Noonan, Pietro Roccasalva, Ry Rocklen, Jim Shaw, Anj Smith and Lucy Stein--a powerful list of artists at various points in their careers who are working in diverse media including painting, installation, sculpture and video. The shared sensibility involves a particular use of disruptive strategy in order to counter the prevailing feeling of business as usual. If anything, these 15 artists bravely attempt to map out brand new sensibilities. Included is a short story by Egidio Coccimiglio. 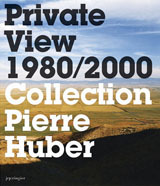 FORMAT: Hardback, 6.5 x 9 in. / 208 pgs / 162 color.